There are many ways that you can save time when doing your housework. Doing the housework is never really anyone's favourite daily task, and often it does get left for weeks until it finally becomes a mammoth job. Whether you need to be more organised when it comes to cleaning the bathrooms, clearing out the Westinghouse fridge or washing the floors, there are ways that you can save time when cleaning. Next time you are having a good clean up make sure that all your possessions are included in your contents insurance because you want everything to be covered against theft, accidental damaged or loss due to some sort of disaster. You can save a lot of time with your housework if you have good quality appliances. Newer models of appliances are usually have faster cycles and also have higher energy saving ratings, which is great for the environment and for helping you save money on your electricity bill. A newer model vacuum will pick up more dirt and debris off the carpet more easily so you don't have to waste time pushing it back and forth. You should also invest in the right cleaning products and equipment to make cleaning easier and faster. You should buy cleaning agents that are specifically targeted at doing the different tasks around the house, such as glass cleaners, oven cleaners, carpet cleaners, for cleaning scum off tiles in the bathroom and shower, something for hard services and for polishing wood and silverware. You will find that top loading washing machines have faster cycles than front loaders, although you can find that some front loaders use less water. 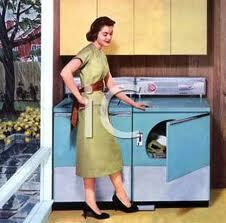 When you put a load of washing on make sure that you put on a full load. This will not only save you water and electricity but also time. Put your load on first thing in the morning so that you can get your finished load out on to the line as soon as possible to make the most of the sunshine. You can also buy washing machines that have timers so you can set it the night before to start before you get up so it is all ready to hang out before you go to work or start your day. Have an extra long extension cord for your vacuum cleaner so you don't have to keep on switching it off and plugging it in to a different power point every time you change rooms. The best way to clean the shower is to wipe it down after you have finished showering and if you need to give it a good scrub also do it while you are having a shower, it will save you getting wet while you are in your clothes. Keep your kitchen bench clear and put things away straight after using them. Put your clothes away at night when you take them off or put them straight into the laundry hamper. It can help to keep your house tidy if you have adequate storage space. If everything has a place where it goes then it can help make tidying up much quicker and your home will never look cluttered.